One man knows not just if Donald Trump can be impeached, but how. Tribe is also a fantastic teacher and speaker. 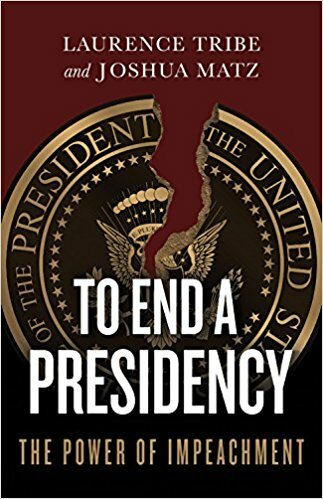 This is good, because the subject of his talk at the Ramsay Luncheon on Wednesday, June 6th, is his new book To End A Presidency: The Power of Impeachment. get a one-year subscription for only $15! Buy tickets to Laurence Tribe now!